Today I’d like to report on some of the progress that has been made as a result of last years' controversy over an April 1st joke post about a (fictional) PyCon to be held in Cuba. As you may recall, the joke fell flat for many–nonetheless, the intent to instigate a real movement toward greater communication with Cuban Pythonistas, and perhaps to someday hold a conference on the island, was fulfilled beyond the authors' expectations! The first step occurred in May with the formation of a Python-Cuba Workgroup, which was recognized in June by the PSF board as an official workgroup with a charter. Since some group members already had contacts with Cuban programmers, the workgroup was able to begin a healthy collaboration. In addition, several Cuban Pythonistas made contact with us after the April 1st newsblog post. Discussion and analysis of issues, including internet access in Cuba, how to accommodate a multi-lingual group, governmental involvement and obstacles, etc., began in earnest over the summer. Thanks to the hard work of many, including Kirby Unger, David Mertz, Roberto Rosario, Steve Holden, Luciano Ramalho, Pablo Celayes in Argentina, Olemis Lang in Cuba, and dozens of other supporters and members, the group has recently gotten off the ground, and it looks like great things are about to happen! Pablo Celayes deserves special mention for his efforts in involving his recently formed Python meet-up group in Cordoba, Argentina in the Python-Cuba effort (Cordoba, Argentina meet-up). Cuban developer, Alejandro Zamora Fonesca, is planning to visit Pablo and the rest of this group in Argentina this month to further discuss the growth of Python in Cuba. We look forward to hearing about that meeting on the Python Cuba mail list. In addition, Pablo will be traveling to Cuba in January, and again in March, and hopes to have some sort of Python event organized for that time. Indeed, Python events were already happening in Cuba prior to the formation of our group, and those of us in the US found that there were many Cuban Python developers eager to get more involved (for example, see Twitter). Newer groups, such as the Merchise Start Up Circle in Havana, are quickly growing and are busy planning future events. And plans are also underway to offer workshops on Python and Django as part of the Cuba Free Software Conference, to take place April 25 - 27. This large, international event, sponsored by The User Group of Free Technologies in Cuba (GUTL) and The Best of Open Techonologies in Germany (BOOT), is currently looking for speakers and mentors, so if you’re interested, please contact Pablo Mestre (pmdcuba at gmail.com). These are just a few of the many ideas that are beginning to take form, and I’ve mentioned only a few of the many people involved. But the excitement and momentum are truly building. The Python-Cuba work group communicates by mailman listserv. Please read the archives and subscribe to the list if you’d like to help. I would love to hear from readers. Please send feedback, comments, or blog ideas to me at msushi@gnosis.cx. 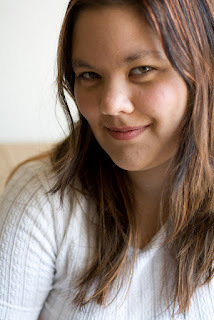 Google Summer of Code–Terri Oda gets CSA award! At the latest PSF Board of Directors' meeting, it was decided that a 4th quarter Community Service Award will go to Terri Oda for her work as the Python Coordinator for Google Summer of Code. For those of you unfamiliar with GSoC, it is a program that began in 2005 that allows students to be paid to work on open source projects over the summer. Their motto is Flip bits, not burgers. The students must apply to the program and are then matched up with a mentor from one of the many sponsoring organizations. The PSF has been proud to be a sponsoring organization since 2005. Thus far, there have been over 8,500 students from over 100 countries and over 8,300 mentors from over 109 countries who have participated in GSoC. exposure to real-world software development scenarios and the opportunity for employment in areas related to their academic pursuits. In turn, the participating projects are able to more easily identify and bring in new developers. Best of all, more source code is created and released for the use and benefit of all. In fact, the program has so far produced more than 50 million lines of open source code! 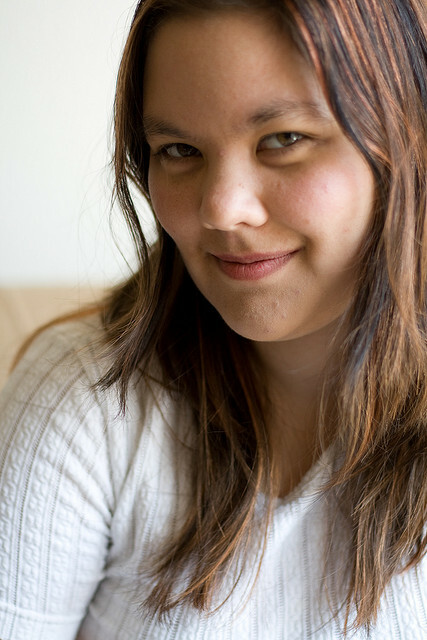 Prior to becoming the PSF's administrator, Terri had worked as a mentor for Mailman, the GNU mailing list manager written in Python, and for Systers, an email forum for women in computing. Nonetheless, when she took over GSoC in 2013, she found the ramp-up to such a huge responsibility to be terrifying. That year, the Python umbrella organization included 19 sub-orgs, 87 mentors, and 36 students selected from over 100 applicants. For this year, the summer of 2015, there were more than 70 students who worked on Python projects with the help of over 100 Python mentors. I asked Terri if she could tell us about any of her students. was from the bravest student I’ve ever seen: she talked about how, upon getting commit access to her project’s repo, she did the thing that everyone fears: she accidentally trashed it. Most students wouldn’t even want to admit that, let alone write a blog post about it, but she was great and wrote a post not only about making the mistake, but about how she learned to fix it. Every time I think that I’ve made an embarrassing commit, I think about her bravery and honesty as inspiration for how to recover gracefully. Terri loves the fact that the GSoC gives students a way into open source, but she likes to point out that it’s not the only way. She herself got involved in open source as a teenager, then with the help of a friend, she was able to find a rewarding job as a security researcher for Intel’s Open Source Technology Center. So she advises her students that there are numerous paths to take. The PSF wishes to thank and congratulate Terri, the other PSF admins, and all those who make GSoC such a terrific program. We also urge participation – if you’d like to become a mentor, or have project ideas, please contact Terri (terri on Freenode IRC, terrioda at gmail.com). As we all know, one of the PSF’s main purposes is to educate and advocate for the use of Python. What makes us so successful in this area is the enthusiasm with which the community is willing to share its time and knowledge. For me, hearing these stories is the best part of working with the PSF. We have recently heard from an educator in Texas who is seriously changing students' lives by teaching them to code with Python. She is Fifth Grade Science Teacher, Melissa Dylag, of Coulson Tough Elementary School, a K - 6th school in South East Texas. Melissa’s adventure started in 2013 when she was approached by a parent who urged her to introduce her students to the world of coding and computer science. Using the non-profit Code.org tutorial, "Hour of Code," Melissa taught each of her fifth grade classes for three days. Melissa inspired Technology teachers Noreen Reid and Shelley Moya, who in turn taught other students; by last year, almost every student in the school (about 1000) had completed an hour of computer science instruction via the free website. The students' response was fantastic, so Melissa wanted to do more to empower her students. She recruited the help of her son (a recent computer science graduate and now a Silicon Valley software engineer) to develop a full intro course using Python. According to Melissa, Python was a good choice because it offers my students everything to build a proper foundation for future computer science instruction. Melissa, along with helpers Noreen and Shelley, are learning Python as they go. They teach about 30 students, an approximately equal mix of boys and girls in 4th, 5th and 6th grades, every Wednesday morning before the regular school day. 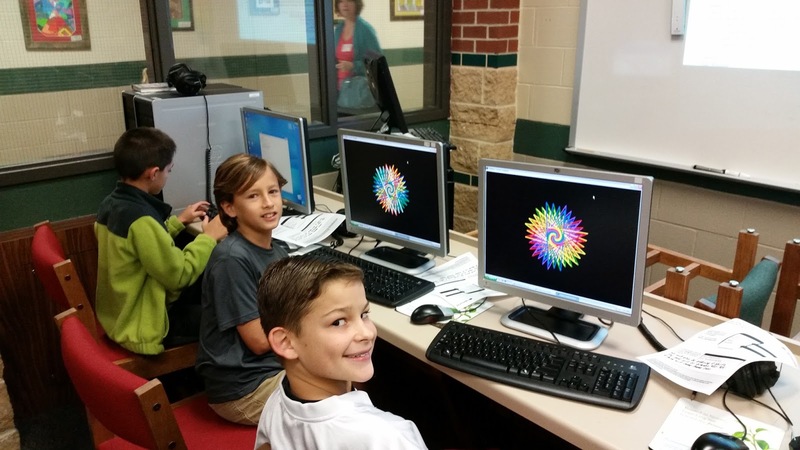 Kids and teachers in the Python Club are loving it–they’re even making T-shirts. Children are coming to school over 45 minutes early in the morning to code. We have a line of cars at 6:50 in the morning for students that can’t wait to come in to code. PYTHON is a huge success and I am turning children away because we don’t have enough computers in the lab to accommodate them all. The parents are also thrilled. One parent emailed that her 6th grade daughter …has really enjoyed learning programming. She takes a picture of what she does on Wednesday mornings and can’t wait to show me what she has created…. I love that this club is exposing girls to programming. Melissa plans to expand to offer two classes next year: an advanced class so that this year’s students can continue, and another introductory one. She needs to get approval from her administration, but she is enthusiastic and determined. I want to do what is best for the children. We all love PYTHON and we are thrilled to share what we are learning… We are pumped to be a PYTHON school. Please join me in thanking Melissa, her helpers, students, and all the teachers like her. We are pumped to have them as part of our community! Last month PyCon Japan took place from October 9 - 12th at the Tokyo International Exchange Center Plaza Heisei. The PSF has recently received a report from the Chair, Takanori Suzuki, and it appears that the conference was a great success. As a bit of background, the first PyCon Japan was held in 2011. The conference was a one-day affair with talks comprising three tracks. 247 people attended. Each year since then, PyCon Japan has grown in size and complexity. Last month’s sold-out conference had 602 attendees, with 80 people attending tutorials, and more than 50 staying for a fourth day to participate in Sprints. There were 43 sponsors. Sponsoring at the Diamond level was the Japanese firm MonotaRo. Other sponsors included PayPal, O'Reilly, CodeIQ, JetBrains, Nikkei, and the Japanese online marketplace, Curama. The PSF was happy to contribute as a Gold level sponsor. There were 32 talks–11 given in English and 21 in Japanese–covering a variety of topics, including Pandas, Data Analysis, Metrics, Grep, Asyncio, Translating code into non-English, Erlang, and more. There were two keynotes–one in English by PSF Fellow, Hynek Schlawack, entitled Beyond Grep: Pragmatic Logging and Metrics; and one in Japanese by Haruo Sato, entitled Possibilities of Python, which was also the theme of the conference. There was also a panel discussion on Diversity and the Future of the Community. Due to outreach efforts, the Japanese Python community has become more diverse – more women are participating in programming, as was clear from the groups represented on the panel: Moderator, Makabi Love, of PyLadies Tokyo, was joined by representatives from RailsGirls, Java Women, Django Girls, and Women Who Code in a discussion about how to increase diversity.Rounding out the conference were a poster session, jobs fair, lightning talks, and a children’s workshop. An additional feature of the conference was an official chat session, set up in both English and Japanese for participants to communicate with each other. Slides and videos from conference talks can be viewed here, and at The Possibilities of Python. For more photos, see PyCon JP Photo Album. First-Ever PyCaribbean Coming This February! "RESOLVED, that the Python Software Foundation sponsor PyCaribbean on February 20-21, 2016 in Santo Domingo, Dominican Republic, in the amount of $3000 USD." This will be the first-ever PyCaribbean, and the PSF is proud to be a Platinum-level sponsor. The venue will be the headquarters of the Fundación Global Democracia y Desarrollo (FUNGLODE) located at Calle Capitán Eugenio de Marchena 26, Santo Domingo, Dominican Republic. "I think we have the spirit you can find in PyCon but in a more concentrated way and with better weather." 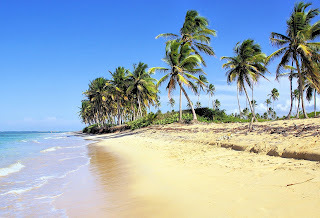 Better weather and gorgeous beaches! Based on proposals received so far, it appears that the talks will be quite diverse. Along with such expected topics as strategies for improving data analysis, Leonardo particularly mentioned a talk about the adventures of someone teaching Python in Latin America in his car. Of course, that adventurer is none other than Manuel Kaufmann! Some of you may recall that last year the PSF funded his project, and it was featured in a couple of posts to this blog: Python in Argentina and Highly Contagious. And in addition to what is sure to be a fascinating talk by Manuel Kaufmann, there will also be a keynote by the PSF’s very own Brandon Rhodes, who is also the organizer of the upcoming PyCon 2016 in Portland. "The Python Dominicana Usergroup was the first usergroup formed in Santo Domingo and after that a lot of progress happened. We have more than three years meeting consistently every month. The experience has been really transformative for the city. We have done road trips, hackathons, and a lot of events to promote the language. . .[This work] is paying off with all the growth we see in Software Development locally." "I fell in love with Python in High School while reading How to Think Like a Computer Scientist in Spanish. I really enjoy being part of this community, which I think is the killer feature of Python." I have to agree that the community is our killer feature, so I’m hoping that some of you will be able to participate in PyCaribbean by giving a talk or by attending. You have until November 20th to submit a proposal, so please give it some thought. Of course, if you don’t have a talk prepared, the organizers would still love to see you there. And could there be any better vacation than to visit the Dominican Republic in February? In fact, this conference looks so good to me that I may see you there myself! For further information, you can contact the organizers (at leonardo@pycaribbean.com or vivian@pycaribbean.com). 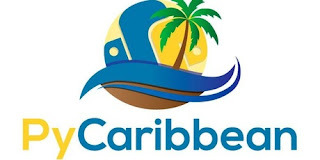 Also you can follow them on Twitter (at https://twitter.com/pycaribbean). Register Now for PyCon 2016! Once again, the PSF is proud to underwrite and produce the largest gathering of the international Python community at PyCon 2016! The 2016 conference will be held in Portland, Oregon, and will take place from May 28th to June 5th -- a little later in the spring than previous PyCons. Those of you who have attended previous PyCons know what a fantastic event these are. Education, advocacy, community building. . . all take place at a PyCon. If you've never been, you can check out these talks from last year's PyCon 2015 in Montreal. But nothing can fully give the full experience, the excitement and flavor, the connections forged and strengthened, the sheer intensity of spending several days with a large community of bright, energetic, and engaged Pythonistas, sharing their knowledge and skills and teaching and learning with each other, as attending a PyCon itself. The conference schedule will begin on the weekend with tutorials, then there will be five full tracks of talks, over 100 total, during the three main conference days. As usual, development sprints will follow, offering a unique opportunity for developers to work in "dream teams" on open source projects. And of course there will be the Summits, Expo Hall, Poster Session, Sponsor Workshops, Lightning Talks, Open Spaces, Job Fair, PyLadies Auction, and last, but hardly least, the dynamic and inviting "Hallway Track," that make for such a vibrant conference. All of this, along with ample (organized, spontaneous, and even some chaotic) social and cultural activities (including the annual Opening Reception and 5K Charity Run). The venue will be the centrally-located Convention Center which will allow for easy exploration of the fabulous city of Portland, Oregon. PyCon offers tremendous value for both individuals and businesses. PyCon’s three main conference days offer keynote speeches, nearly a hundred talks, Open Space rooms for meetings and workshops, and an Expo Hall where you can meet dozens of sponsor companies and open source non-profits. More than 3,000 fans and contributors to Python are expected to attend the conference! Another feature of PyCons as opposed to other tech conferences that must be mentioned is the diversity of speakers and attendees. For both 2014 and 2015 in Montreal, a full 33% of talks were given by women. Not only does this make for a more varied range of content and a higher degree of excellence (since the work of women programmers contributes to a greater pool of proposals from which the final talks are selected), but for a truly welcoming community. As someone who has attended the last four PyCons (the first of which, before I even became a Python user), I can tell you with absolute certainty that if you come, you will not be disappointed! And, please, if you're working on something interesting, or care to share some insights, experiences, project development, or theoretical observations, consider proposing a talk, tutorial, or a poster session. Registration is now open, and, if you hurry, you can qualify for the reduced cost of an Early Bird ticket. If the past is any indication, these tickets, and all remaining ones, will sell-out quickly. Don't be left out! Register today! You can also view the announcement on the PyCon Blog, or go directly to Registration and Financial Aid. Django Girls Seoul: A Great Success! I’ll just start by saying I knew nothing of programming or anything tech two years ago. I got inspired by a failed interview to start learning programming and I found some awesome like-minded people that were studying Python. We did so many Python MOOCs, tutorials, Raspberry Pi and even Pygame! This year we started working on web development and along came Django. The core members from this study group (codeforeveryone.co) were inspired by Django Girls to make an event in Seoul. We worked hard to make the event accessible to everyone, translating everything into both English and Korean. At first we thought it would be a small, simple event of 30 participants, but after the first day we had more than 30 applicants, so we decided to expand it to 70 participants, 26 coaches and five organizers. We tried our best to make it a casual, fun, and motivating experience for all involved. During the three months leading up to the event, we worked hard at getting sponsors. Because of the PSF sponsorship, we were able to make it a wonderful introductory experience to Python for all the participants as well as some coaches! We had 425 applicants from 11 different countries, ages ranging from 16 to 50 years old. We chose 70 of the best applications. 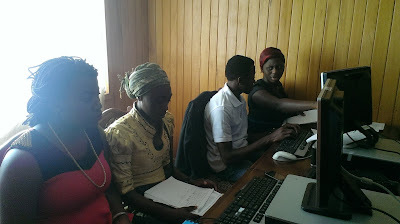 Some of the participants in the event were able to complete their web blog applications, and some even went on to do the extended Django Girls' tutorials. We hope to harness the momentum from Django Girls Seoul participants and coaches to help create a more permanent community where we can all continue to study and teach Python and Django. We’ve started planning a follow-up event in three weeks. Our original group of organizers' philosophy is to learn by doing and master by teaching. So we’d like to continue learning and teaching together, inspiring and connecting like-minded people to create a supportive, welcoming community for all. Thank you again from everyone that participated in our event. Since this initial workshop, Rachell and the organizers have made true on their promise to keep going in building their community. They’ve recently held their follow-up event, during which about 35 women, along with 10 new coaches, worked on an extended Django Girls' tutorial. All five original organizers also participated: In addition to Rachell, these are Hassan Abid, a phone app developer, Jin Park, a full-stack developer, Sujin Lee, who works in online education, and Dayoung Park an administrative coordinator. According to Rachell, one of the great features of such a community is that the experienced coaches and organizers also learn from teaching and from each other. She believes that her own background as an EFL teacher, along with her perspective as a novice Python programmer, contribute to making these teaching events successful. Additional events planned for the future include a Django Girls Code Camp taking place every Saturday for two months, and offered free of charge to participants. The intention is to leverage the skill learned in the two months and then apply it to non-profit projects that will benefit the local community and offer the coders more real world experience. I hope you’ll all join me in sending our sincere congratulations and thanks to Rachell, her team of organizers, and all the participants on a wonderful project that is enlarging and enhancing the Python community! Twisted Trial Ported to Python 3! Twisted, as many of you know, is an asynchronous, or event driven networking framework written in Python (https://twistedmatrix.com/trac/wiki). Twisted has been around for about a decade, offers many features, including low-level primitives and high-level interfaces, and works with many protocols (including HTTP, XMPP, NNTP, IMAP, SSH, IRC, FTP). Due to its maturity and complexity, Twisted requires a lot of time and effort to be completely ported to Python 3. Fortunately, the PSF was able to help fund some of this work; one recent result is the release of Twisted 15.4, which includes Twisted’s standard test-runner, Trial (codenamed "Trial by Fire"). Due to certain differences between Python 3 and Python 2 (e.g., removal of ClassType and unbound methods), Amber tells us that the porting of Trial required a rewriting and retesting of the test suite loader. The work is mostly done and the current port duplicates most of Trial’s previous functionality with the exception of its distributed test runner (DistTrialRunner). "15.5, coming soon, will come with another handful of ported modules, and the twistd application (a daemoniser + plugin runner, the recommended way of spawning long-running Twisted services)." The PSF sends its gratitude and congratulations to Amber Brown and the Twisted team on this important accomplishment. 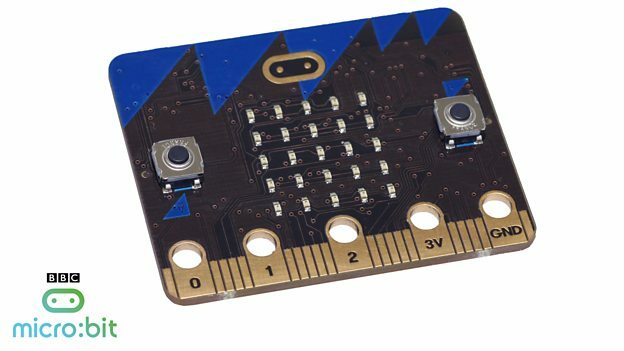 BBC’s micro:bit project open-sourced today! 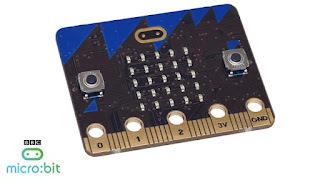 As you may recall, there have been a couple of previous posts to this blog about the BBC’s micro:bit project (also see PSF newsblog). The micro:bit is a small, stripped-down, wearable computer (similar to a Raspberry Pi) and based on an nRF51 chip. The educational project, part of a larger UK program called Make it Digital, is designed to inspire children to become digital creators by giving away 1 million micro:bits to all 11 year-old UK schoolchildren this spring. Today I heard some exciting news about the project from our good friend, Nicholas Tollervey, which I’m happy to pass along here. From the beginning the BBC have said that Python would be one of the possible languages that the device can be programmed in. The PSF is one of around twenty organisations in the project partnership. Since it’s a microcontroller, and the aim is to run Python… well, there’s a pretty obvious answer when trying to combine those two things. Right now only the code related to the MicroPython port is released. When the device is delivered, all the resources needed to recreate the entire project are to be released under an open license. The laudable intention is to provide an unencumbered legacy so others can build upon and adapt the work of the partnership that has created this device. Finally, there is much to be done. The project needs help from people with skill and experience developing for such devices. Could you contribute something to a project that will touch the lives of 1 million children and leave an open legacy that anyone could re-use? If so then please read the above-linked post and head on over to the code repository. I hope that many of you will take Nicholas up on his request to contribute to this worthwhile project. Python in Cameroon a Success! It is always a pleasure to report on the success of PSF funded projects. 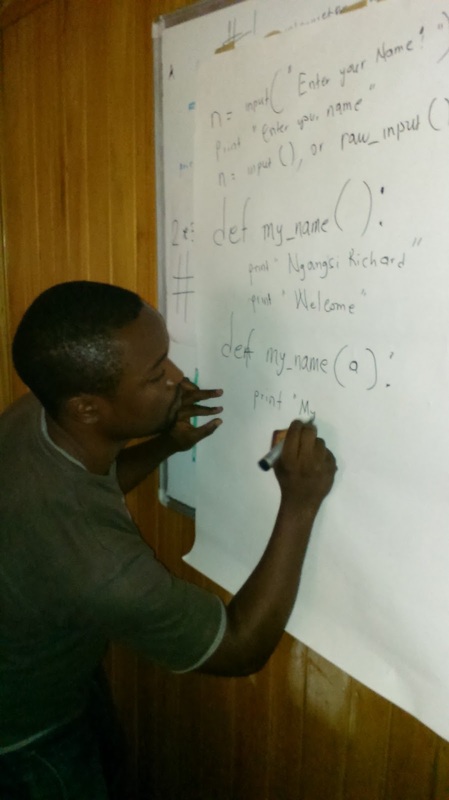 Recently we’ve heard from Ngangsi Richard about the Python Cameroon initiative. As you may recall, last March the PSF sponsored a one-day workshop in Bamenda, PyCon Cameroon, for the purpose of exposing women and girls to the power of Python programming. This latest project further extends programming accessibility to those previously denied the opportunity. Most of them had no idea about programming. Most of them have never been taught anywhere how to write programs. Some of them were not even familiar with a computer. Because of this lack of basic computer skills, Ngangsi had to adapt the course to allow students enough time to absorb and practice what they were learning. By the second week, he had settled on a schedule that allotted two days to introducing new material in lectures, two days for the students to practice the exercises, and an extra day for questions and review. Additional challenges that had to be contended with included frequent power outages, a too-small classroom that was shared with other groups (resulting in some loss of property), and a shortage of computers and even chairs. Since there was one computer for every two students, the time needed for exercises and practice was also increased. Ngangsi, as the only instructor, bore the entire burden of preparation and teaching. Those of us who are or who have been teachers know how exhausting full days in the classroom can be. But, amazingly, given the obstacles, the students succeeded in learning. Ngangsi taught them many standard introductory topics (including data-types, statements, lists, tuples, variables, and expressions). Of course, some concepts, like functions, proved challenging; still, the students persevered and made it through to the complexities of dictionaries, recursion, classes, modules, and exceptions. After the first day of lecture, I saw some improvement. Most of them started figuring how to do some of the basic stuff like writing very simple programs with the Python interpreter. By the end of the month there were some real successes, including two women Ngangsi mentioned who were writing more complex programs and planning to continue to learn more. Ngangsi recently expressed his thanks to the PSF for funding this instruction so that it can be offered to the students free of charge. This fact has surprised and excited the students and has generated a great deal of interest. Just this week I had another six girls who heard about the program and they came to find out. They were excited about joining, but I had to tell them to wait since we don’t have enough space and resources. He also reconfirmed his commitment and shared his plans to continue and expand this work. My vision for this program is to be able to start a new community of women developers from Central Africa using the Python programming language… . With the amount of interest we have already about this course, we should be able to educate 300 girls in two years and possibly even more with Python programming and computer science. And I’m sure that I speak for the entire PSF in sending a big 'congratulations' and 'thank you' to Ngangsi, his students, and everyone involved with this worthwhile project! Last year, the Python Software Foundation adopted an open membership model, allowing anyone that uses and supports Python to become a member of the foundation. Furthering our efforts on this front, the historical psf-members mailing list has been retired, and two new mailing lists have been created in its place: psf-community and psf-vote. Unlike the old psf-members mailing list, the new psf-community mailing list will be open to all community members, and will have public archives. The new psf-vote mailing list will only be used to administer elections. A more detailed summary of the mailing list changes can be found below, along with the related resolutions from the PSF board meetings. This list will be locked to new posts. This list will no longer accept new subscribers. The archives will be open to existing list subscribers. All community members may subscribe. This list is expected to be an active list with courteous, productive, and respectful conversations about community issues and news. All current PSF members have been sent an invite to join this mailing list, and anyone is welcome to subscribe to this list (after signing up for a basic membership). All PSF members with voting privileges may subscribe to this list. This includes the following membership classes: supporting members, sponsor delegates, managing members, contributing members, and fellows. The archives will be open to list subscribers. This list will be used to administer PSF elections. We have automatically subscribed all current PSF voters. If you unsubscribe from this list, our secretary will reach out to you to confirm that you wish to relinquish your voting rights. This list is expected to be a low volume mailing list, containing election details, and discussions that require some privacy and discretion (such as a potential corporate sponsors). We hope to see you on the new psf-community mailing list – thank you for your contributions to the community! I apologize for the hiatus I’ve taken recently from writing this blog -- other commitments temporarily got in the way. But during this time the PSF has been hard at work, and I intend to catch you up on their activities in the next few posts. First of all, the Community Service Awards have been given out for both the second and third quarters of 2015. I am extremely happy to announce that the second quarter award went to our good friend, Nicholas Tollervey, for his excellent work in education and outreach. You can read more about Nick in a recent previous post to this blog (Tollervey), so I’ll forgo saying more about him here, other than congratulations, and will turn to telling you about our third quarter award recipients. RESOLVED, that the Python Software Foundation award the 2015 3rd Quarter Community Service Award to Victor Stinner and Serhiy Storchaka (PSF CSA). Both Stinner and Storchaka are extremely active Python core developers. In the past three years, Serhiy has contributed well over 2000 commits, while Victor comes in a close second with almost 2000. Their hard work and dedication have helped increase Python’s vitality, relevance, and amazing growth -- a fact that the PSF wishes to recognize with this award. In addition, Serhiy Storchaka is active on the Python tracker, taking the time to help other contributors by reviewing and committing their patches. Victor Stinner’s work additionally includes 20 PEPs (see PEPs) as well as active participation in the Python community. You can view his PyCon 2014 talk here. He is also one of the developers of the tulip/asyncio project which provides asynchronous I/O support to Python. It was Victor who ported tulip/asyncio to Python 2; its usefulness has resulted in its recently being included as part of the Python 3.4 standard library. Please join me in congratulating our latest CSA recipients and in thanking them for their important work. Ask any Pythonista to name the best features of Python and they are sure to include its amazing community. For the past 15 years the PSF has recognized this important feature with its Community Service Awards and with a special annual award for outstanding contributions to the Python Community–the Frank Willison Award. I am extremely happy to report that this year’s Frank Willison Award was presented at OSCON 2015 to Jessica McKellar (see Award Ceremony). 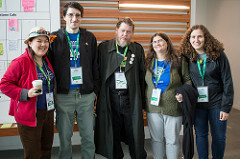 Jessica McKellar has served in many distinguished roles within the Python community: Director, Python Software Foundation; PyCon Diversity Outreach Chair; core organizer of Boston Python, one of Python’s largest user groups; frequent keynote speaker and tutorial presenter; board member of OpenHatch; Boston Python Workshop organizer and evangelist; PSF Fellow; mentor for Outreachy program; core contributor to OpenHatch and Twisted projects. She also has a long history as a Python advocate, as a book author (Twisted Network Programming), training author (Introduction to Python), startup founder, VP of Engineering, and MIT alumna in Computer Science. Jessica’s tireless dedication to outreach and education created fundamental change in the Python community. In 2011, only 1% of talks given at PyCon were presented by women. Jessica’s outreach efforts included hundreds of individually targeted emails to women in technology, encouraging women to submit talk proposals, and mentoring many through the entire proposal process. In 2014 and 2015, a full 33% of talks at PyCon were given by women. As a volunteer with genuine commitment to the education and success of others, Jessica spends a significant amount of her time on outreach, encouraging new leaders in the Python community, and sharing how Python education empowers others to change the world. She has touched many Python community members, directly and indirectly, with her grace, intelligence, and humble willingness to listen, collaborate, and celebrate the contributions of others. The award is a memorial to the legacy of O'Reilly editor-in-chief, Frank Willison, who died in 2001. Author of the column Frankly Speaking, Willison shared his enthusiasm for programming, open-source, and, in particular, Python with his many appreciative readers. His writings and witticisms can be found at O'Reilly Archives and In Memory. Please join me in congratulating Jessica McKellar on her well-deserved award and thanking her for her numerous contributions.